I should have titled this thread “the Sarah Palin of the left”. No kidding. that is pretty bad and those are really not very difficult questions. Oh, and lest Frank gets after me, let me say that Trump has said things equally or more dopey. And because Russians. Trump is not nearly as easy on the eyes! I haven't been following her campaign too close... So Joe Crowley's not dead yet? LOL... that is funny. I hope that her and Bernie get together for a presidential run. Did you read the NYT article? She's not as crazy as you think. Crowley is apparently unwilling to take his name off the ballot as a third party nominee, even as he states he supports the Democratic nominee. there is low unemployment because people are working two jobs? I just found it and skimmed it. He’s claiming he can’t remove his name. Honestly, I don’t care enough to figure out if he’s right. I just enjoy the internal fireworks. Ocasio-Cortez I’m sure will play this up to get more donations. It would be great to see them lose this fight by dividing the vote. I'd love it; we don't need more socialists in Congress. Yeah, if they divide the vote I'm sure the two dozen registered Republicans in the east Bronx will rise up and take the seat away. I would love to see Crowley win as an unwilling third party candidate. Her antisemitism won't sell well there. I did not realize how disproportionate the voter registration is. Last edited by Topper; 07-17-2018 at 05:00 PM. We only have one. Of course you're the guy who is probably still trembling about the democrats taking congress and serving as a check on crazy Trump, even after yesterday. This is a fundamental question for me. The success of all successful countries is economic first and foremost which give rise to wonderful innovations in technology. Authoritarian regimes recognize this as their socialistic economies failed, threatening their very existence. Now, authoritarian regimes rely upon market economic success while depriving citizens of personal liberties. The US has had both, personal liberties and capitalistic benefits in the delivery of goods and services. We must look at the definition of socialism to understand my rudimentary objection to it. It is in its barest form government control over resources, government financing of goods and services and government delivery of those services. Socialism is the delivery of mediocre services in an egalitarian manner, mediocrity for all. All societies now possess socialistic elements, and it helps salve the conscience of members of society and fill in gaps where capitalism fails, but it should not be the prime mover for goods and servers. The Democratic Party embracing Sanders, Booker and Ocasio-Cortez scares the hell out of me, because unwittingly, you will lead us down the path of killing the goose that lays the golden egg. Anticipating your objections, I understand other societies finance and deliver various levels of healthcare, but their set up occurred for the most part right after WWII, while the US took a different path. The law of unintended consequences shows, just under Obamacare, how destructive government adjustments to the existing system are. There are also structural systemic weaknesses in the US bureaucracy which are not extant in other systems. In short, the socialism already adopted by others can't and won't work in the US. I understand a safety net will continue to exist and am not advocating the disruption of those existing nets, but object to creating more, where the existing nets for Social Security, Medicare and Medicaid are already unfunded. We have no need of a wave of socialism. The other issues government tackles are important but losing the economic battle is a battle for all that matters. It is the very welfare of our lifestyles. Ocasio-Cortez tapped into the same sentiment that President Trump tapped into (also the same sentiment that President Obama tapped into)... which is disgust for the status-quo. Drain the swamp! So a combination of ignorance and a repeating a welcome mantra and voila, you're in! What a great thought; an unlimited time debate between her and trump, those titans of intellectual rigor. I can’t even begin to understand people who are devote socialists. Blows my mind. 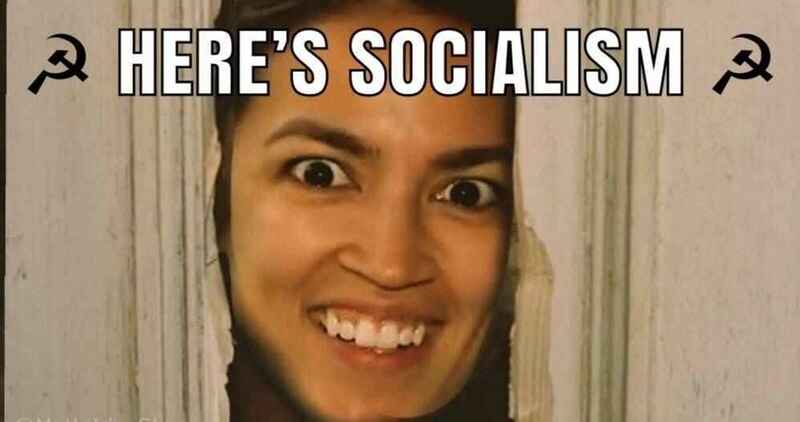 I get people that have socialist leanings, but outright socialists like Ocasio-Cortez and her followers are just not smart. She is new progressive star of the democratic party! The sweet heart of People Mag and the movie stars. You need to jump aboard the progressive train before it leaves you. Listen up libs... time to occupy! New York congressional candidate Alexandria Ocasio-Cortez has called on protesters rallying under the “Abolish ICE” banner to occupy border crossings, airports and Immigration and Customs Enforcement (ICE) offices across the country. Ocasio-Cortez made the comments during an interview on Monday with Democracy Now's Amy Goodman, speaking alongside Barcelona Mayor Ada Colau. What is a devote socialist, is a like a woke person? It is truly mind-blowing that an educated person in the US can be a socialist. Socialism, when it works effectively as a stopgap measure, fills the gaps for what capitalism can't or won't provide effectively. When it's used as the primary provider of goods and services fails miserably. Socialists are persons of belief, not persons relying upon empirical data. Most of us aren't really that empirically driven, but socialists fall into the crazy people like home-schooled or climate change skeptics or anti-vaxxers. They exist, you just wish they were unicorns. I like the way she dresses, much better than her interviewer. I don't think that she's that dumb, she just got distracted right before the pivotal question, and then couldn't make her way through the rest of the questions. About the capitalism, she's definitely right about the history of capitalism, and probably right about the future of capitalism. 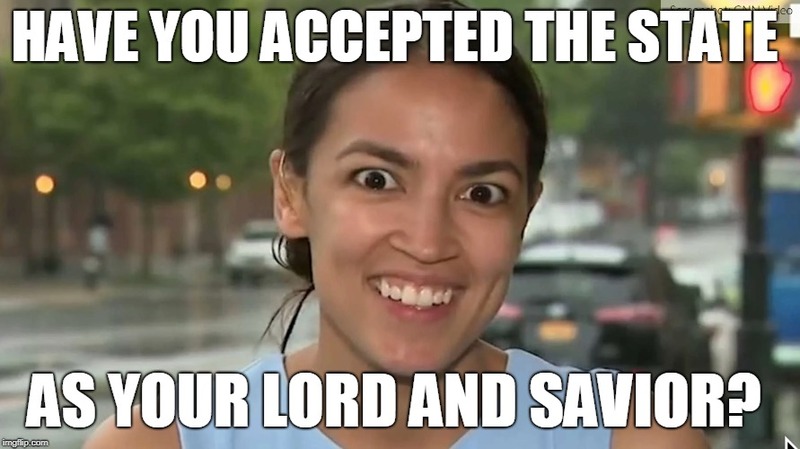 I'm not a supporter but I don't mind her crazy schtick. We're discussing her intellectual faux pas and you're complimenting her wardrobe? What aspects do you think she got right and why do you believe in her predictions of capitalism? We're in disagreement as she sounded outright dumb in the interview. It doesn't take brilliance or distraction to discuss Israel more intelligently than she did. I imagine there are high school students better versed than she is. 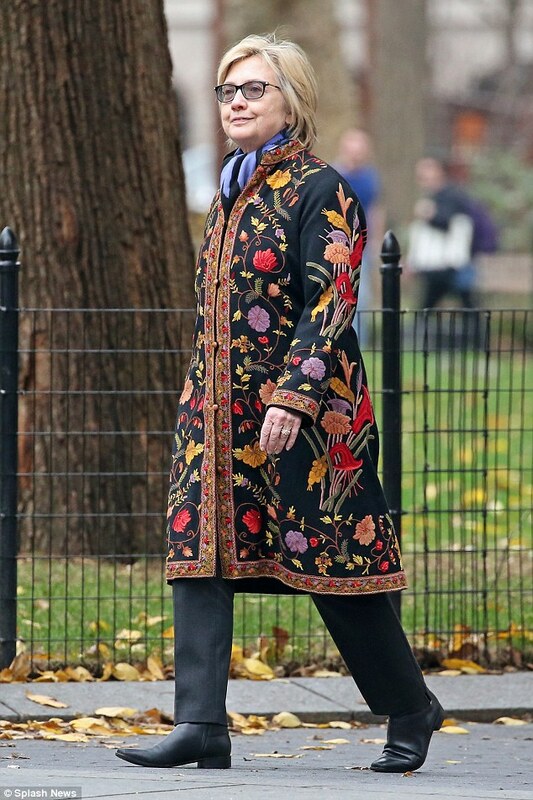 #WhatAboutClinton Hey, Hillary can dress like an hipster too! Is that what hectamillionairesses are wearing nowadays.